In 2007, after a dozen years publishing fiction and poetry, Mike wrote a memoir of mental illness entitled The Lily Pond: A Memoir of Madness, Memory, Myth and Metamorphosis. 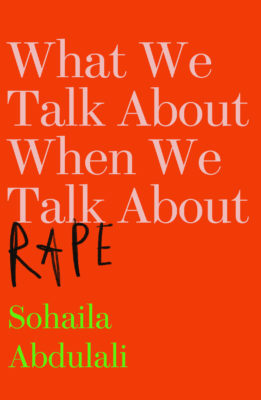 The book explored the struggle to find practical means of living with serious mental illness, but even more, the need to find a sustaining story, or stories, when “story” itself keeps disintegrating. When it was done, including some follow-up essays and talks, Mike assumed he might be done with nonfiction writing about mental health. Calming and contemplative yet fiercely alive, this consoling, humane and surprisingly uplifting book balances candour about the devastations of dementia with inspiring insights into its paradoxical and often uncanny enhancements of life, the ways in which it sometimes calls forth capacities long-buried by the defences of full cognition. Addressed to carers but relevant and deeply important for us all, Be With encourages us to focus on fellowship and accurate witness: to simply be with who, and what, is actually before us. I can imagine this being an invaluable companion for caregivers, to be tucked into a pocket or purse and pulled out for a few moments of relief. Barnes, who also lives with bipolar disorder has been the principal caregiver for his mother Mary for several years as she copes gallantly, not always successfully, against her dementia. That’s one of the finest things about this book; Barnes's generously expressed admiration for his mother as she struggles with this extraordinarily intimate illness. I think those two words, Be With, are an inspired choice to sum up what really matters to people who are living with dementia. I also agree with Mike Barnes that there is so much to be learned and appreciated by those family members and friends who remain close. The last years of life are as much as integral part of existence as the first. Well done to Mike Barnes for expressing this so passionately. I thoroughly enjoyed reading Be With. Mike shares wisdom, hope and reality all with insight - Be With is a real stand-out. Barnes writes with a clear and melodic tenor; there’s poetry in his myriad introspections, and a willingness to put everything on the table, good, bad, and heart-wrenching. This is a powerful book for those who have experienced similar trials, regardless of length of time or severity. My heart lodged in my throat and my eyes stayed glassy... It’s a lovely, loving and unflinching work reflecting on an awful, inexorable illness. Physician offices would do well by stocking copies. A friendly, authoritative voice in the dark that will lead its at-the-end-of-their-tether listeners through to the endgame. The particulars of Mary’s dementia give this brief book universal appeal. The author effectively humanizes himself as a man who has made errors, who wishes he had done things differently, and who has his own psychological burdens to bear... A book that tells the reader that you are not alone, whoever you are. Dementia is… “a retreat under fire” “a passage of exquisite vulnerability” By your loved one’s side is “Not where things are easy, or satisfactorily achieved, or achievable, or even necessarily pleasant. But where you ought to be, have to be, and are. It brings a peace.” The goal is “Erring humanely”. I think my mother may be dying – or perhaps she's 'just' seriously ill? She has an acute urinary tract and kidney infection, her lungs are crackly, her throat full of mucus. She hasn’t eaten or drunk for several days and her breathing is rapid and shallow. She can no longer get out of bed, is alternately restless and drowsy, confused, hallucinating, dehydrated, delirious. She thinks she’s dying -- but she often thinks that (most nights, when I leave her). Is this time different? I know so little about death. When I go to the internet and consult the Marie Curie site I see Mum’s symptoms checking almost all the boxes – but also these may equally well be the manifestations of her severe infection, diagnosed ten days ago. So there’s no let-up in the struggle to get the antibiotic medication into her, as she spits and claws and hurls abuse the nurse or myself. ‘Not so much wrong with her lungs then,’ commented one of the carers after it had taken three of them to achieve a wash and necessary pad change. I say ‘no let-up’ but I’m aware that people in Mum’s situation can be admitted to hospital for antibiotic medication to be given intravenously and also to be re-hydrated via a drip. I talked to my brothers earlier this week and we are agreed on refusing these options should they be offered, even if hospital admission would prolong Mum’s life – until the next time. Strictly speaking I’m not totally certain that we have the correct bits of paper that give us this right of refusal: ours is an ‘enduring’ not a ‘lasting’ power of attorney which means it’s old-style and more concerned with money than with welfare. We’ve always tried to ensure that Mum takes her own decisions (even when they’re not such good ones) but now she is no longer be deemed to have the mental capacity to refuse consent to treatment,as I discovered on a recent emergency trip to hospital. What I also discovered that day, however is the potency of her ‘preferred place of care’ form, which an enlightened GP helped her to sign several years ago. It allowed her to state in advance that she would prefer to be treated in her own ‘home’. How this form will stand up to real pressure I’m not sure but I watched the relief on the face of Mum's care home manager when I told her that Mum's potential refusals had been written down in advance. Mum's 94. Her dementia is 'severe': will this now become 'end stage'? I’ve seen others of her peers shuttled in and out of hospital in their last months of life, apparently caught in a system that doesn’t find it easy to recognise the term Give Up. I don't criticise other people’s choices (if they had a choice) but this hospital-home commute wouldn’t be right for Mum. Her survival chances are finely balanced; could go either way. So I’m treating her current illness as a practice for The End and the rest of the family seem willing to play it this way. I'm grateful to them. 'Joyful relatedness' is a beautiful phrase. And true. I’ve witnessed these moments of connection with other of Mum’s neighbours in her dementia suite and felt blessed by them. ‘She didn’t ask it often, and never with an edge of accusation or grievance […] It was, horribly, an honest question.’ Barnes says that he gives evasive answers. Why do some people abandon their nearest relatives in his way? No doubt there are as many individual answers as there are relationships. We can't know or judge. There are social and cultural factors as well; our post-Victorian rejection of anything that can be categorised as 'duty': our late twentieth century determination to achieve autonomy and personal fulfilment, especially if we happen to be female. Sometimes I have felt defensive about my choice to visit Mum twice a day – and often to prioritise these visits over other opportunities and invitations. Does it make me a saddo? Like deciding to be a stay-at-home mum instead of the first female governor of the Bank of England? You know that I'm joking but would you agree that there often seems to be a polarisation in our public discourse around Elder Care: either you dedicate yourself to managing the entirety of your dependent person’s care 24/7 or you hand it over and bunk off? Either you're Horton theElephant or Mayzie the Lazy-Bird. Perhaps we'll be thinking about these questions in a more nuanced way when we've watched Jimmy McGovern's Care tonight on BBC1. Or perhaps we'll all be more distressed, confused and obscurely angry than we are already. What I've learned from other people in John's Campaignover the past four years is that socially, culturally, individually we almost always get on better when we think in threes instead of twos: the person in need + the person with professional expertise + the person with individual insight born of love (or long acquaintance). More than fifty years ago novelist Margery Allingham was advocating a similar 'Triangle of Care' in The Relay (Beloved Old Age). Allingham developed her own concept of a handover period when an older person, approaching death, relinquishes their autonomy and a younger person, running alongside accepts the baton of responsibility -- whilst being enabled to maintain their own course and pace by the professional, paid-for skill of others. This has helped me constantly in the struggle to keep momentum in my own life (and family) whilst also being 'With' my mother in her last years / months / days -- whatever they may be. That's all, it needn't be hard. There's physical., in-the-room 'Be With' and there's the emotional support as well -- the clear assurance that whatever you may forget about yourself, others have not forgotten you. It's also massively helpful to the most regular visitor to know that there are others to talk to when you're worried; others who know and care, even if not so often physically present. In Mum’s current situation, where we may either be rehearsing for her life's end or actually experiencing it, the ‘Be With’ message takes a new twist. Societally, there is a general feeling that no-one should die alone (though they very often do) and we applaud initiatives such as the Anne Robson Trust which attempt to counter this. Hospitals and care homes assure me that they 'always let them (ie families) stay at end-of-life' -- though it's depressing to discover how often this goes wrong. Death is a subfusc caller and dementia always terminal. I hate the 'let them' phrase. Why should it ever be thought acceptable to impose restrictions at any time when people are in need? Who could ever say to a spouse of sixty years standing or a son or daughter of many decades 'Sorry, you'll have to go now. Visiting hours are over' -- ? 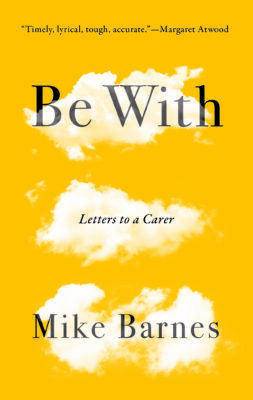 I liked Mike Barnes's book because of his constant reiteration that, hard as it was to be his mother's primary caregiver, yet he was gaining understanding, insight and experience that would never otherwise have come his way. As Margery Allingham put it 'this is personal and private and exactly as important in one's own story as one's marriage or the birth of one's child.' Yet death is the obverse of birth in that you cannot be accompanied. Already as I sit next to Mum, practising through this illness, I can feel her getting further and further away, fighting her own body, going where I cannot -- and do not wish -- to follow. Yet, paradoxically, when the time comes that we are certain she is getting close to the end of her life, it will matter even more to her family that there is someone with her. We may attempt to keep a more constant watch beside her – though statistics show so many people slip away to death in the brief moments when the people they loved have left the room. To some extent we're doing this already. My oldest son emailed to say that he’d heard Mum was ill and therefore was planning to visit this weekend. 'She isn’t necessarily dying' I replied, knowing he lives at a distance and has a lot else happening in his life. 'I know, but I’ve been meaning to visit and I would have come at Christmas anyway so, when I heard she was ill, I thought I’d bring my visit forward by a week or two. I’m only coming because I want to.' He’s with her as I finish writing this. I hope the day comes that Mike Barnes’s siblings make some similar phone calls to 'Be With' their mother because they want to -- for their own sakes as well as for hers. 'How people die remains in the memories of those who live on,' as Dame Cicely Saunders said. Meanwhile I hope that all we're doing this week is practising our togetherness skills. I think those two words, Be With, are an inspired choice to sum up what really matters to people who are living with dementia. I also agree with Mike Barnes that there is so much to be learned and appreciated by those family members and friends who remain close. How terribly sad that three of Mary's five children chose to absent themselves from her life when she needed them most in her old age and illness. It's their loss as well. The last years of life are as much as integral part of existence as the first. Well done to Mike Barnes for expressing this so passionately. Barnes shares a tender exaltation of caregivers and the act of caring for a loved one suffering a debilitating chronic condition. The author is caring for his mother, Mary, who’s battling Alzheimer’s. In four short essays, Barnes (The Adjustment League) details the emotional and physical toll of years spent in hospitals and long-term care facilities; of micro-comas that come out of the blue when sleeplessness and stress are finally overwhelmed by bodily needs; of personal service workers his mother attacked in fits of rage and confusion; of dealing with language and basic communication skills lost alongside her memories; and of being stretched about as thin as one can tolerate without coming apart entirely. Barnes writes sympathetically about “caregiver time”—a form of suspended animation throughout the process of caring for another—and what it means to lose vast swaths of it, and to have one’s life placed in it. 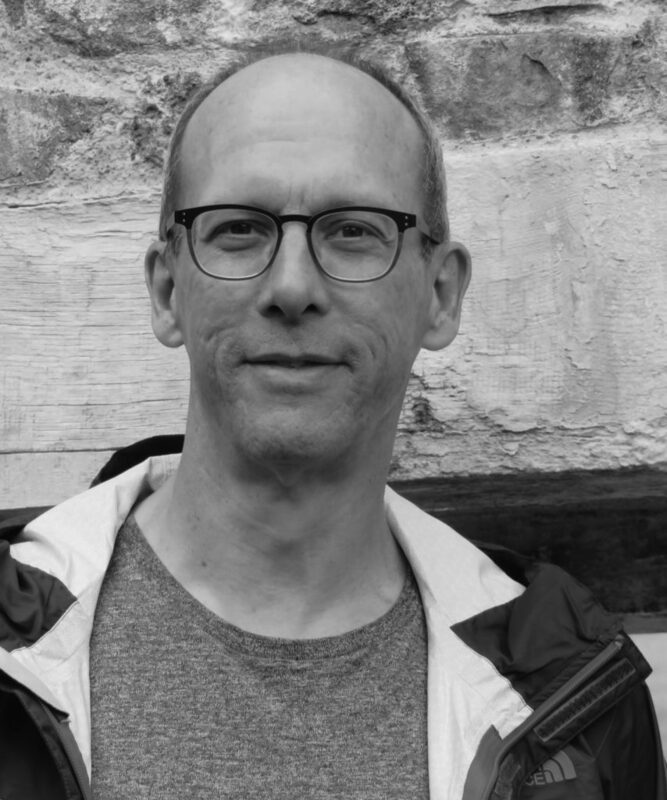 Barnes writes with a clear and melodic tenor; there’s poetry in his myriad introspections, and a willingness to put everything on the table, good, bad, and heart-wrenching. 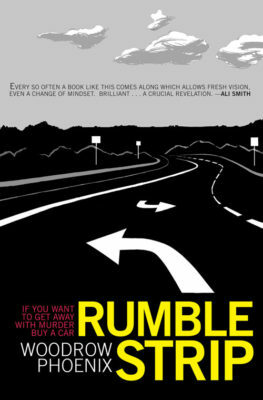 This is a powerful book for those who have experienced similar trials, regardless of length of time or severity. My heart lodged in my throat and my eyes stayed glassy over the brief duration of Be With. It’s a lovely, loving and unflinching work reflecting on an awful, inexorable illness. Physician offices would do well by stocking copies. 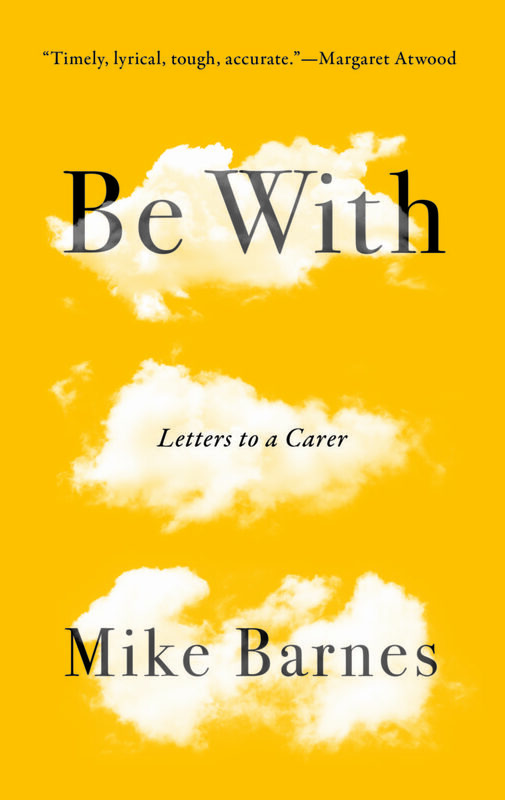 Mike Barnes shares knowledge (‘The truth is, there's no graceful way to take control of someone's life away from them’) and he asks questions (‘How much room in your own heart?’) any caregiver must consider. He also asserts his primary insight: ‘But being with in person trumps all else. It's the one way of caring most likely to be right, and the least likely to be regretted’. In their simplicity and even-handed tone, the letters achieve their author’s difficult aim: they present as a literary Third Man, a friendly, authoritative voice in the dark that will lead its at-the-end-of-their-tether listeners through to the endgame... Barnes has been moved and amazed by his mother’s courage and effort, how she has learned to be a new person. She has had dementia for perhaps twelve years, a significant chunk of her life, as long as her K-12 school years, he points out, just as he has spent a solid portion of his life—almost as long as his childhood with her—seeing her through it. What really matters, he concludes, is the hardest thing, being there with her. ‘For every thousand pages describing how living is shattered by this dread disease, there should be at least one page observing how living goes on within it’. 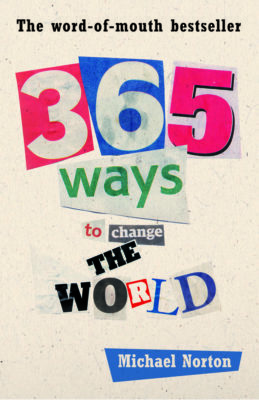 Be With has 156 pages of them.